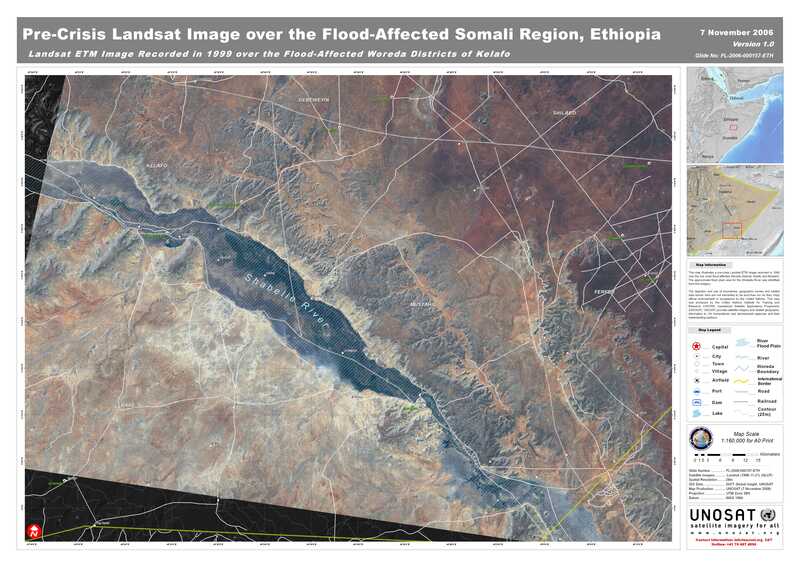 This map illustrates a pre-crisis Landsat ETM image recorded in 1999 over the two most flood-affected Woreda districts: Kelafo and Mustahil. Note: This map was designed for A0 poster size hardcopies. For A3 size version, please see below.